AVS Forum | Home Theater Discussions And Reviews > 3D Central > 3D Tech Talk > SimulView - will it work with any 3D TV? A bit nervous about this post - I'm not sure I'm posting it in the right area, and I don't know for sure if it has been discussed before. I searched on "SimulView" and couldn't find anything. If there is a better search term please let me know. Sony is releasing their SimulView TV on Nov 13th. I am not interested in the TV (it's 24"!) but I am very interested in the technology. The idea of being able to sit in my theater room with someone else and us both having a full screen experience excites me. 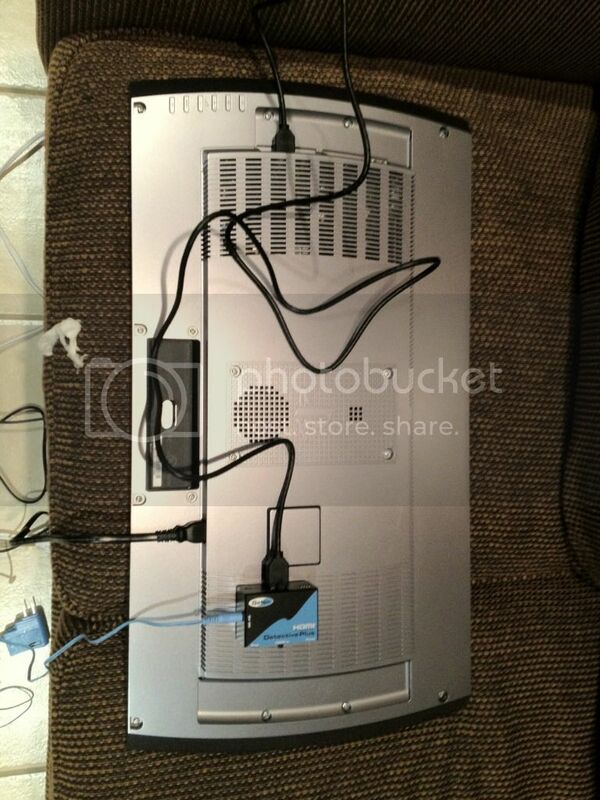 As near as I can tell the trick is really in the PS3 and the glasses, not in the TV itself. Because of this it seems to me that you could take the PS3 and the Sony 3D glasses and use it with any 3D television (or projector, which is what I am hoping to be able to purchase soon). Anyone know anything about this, or where I can go to find more information? 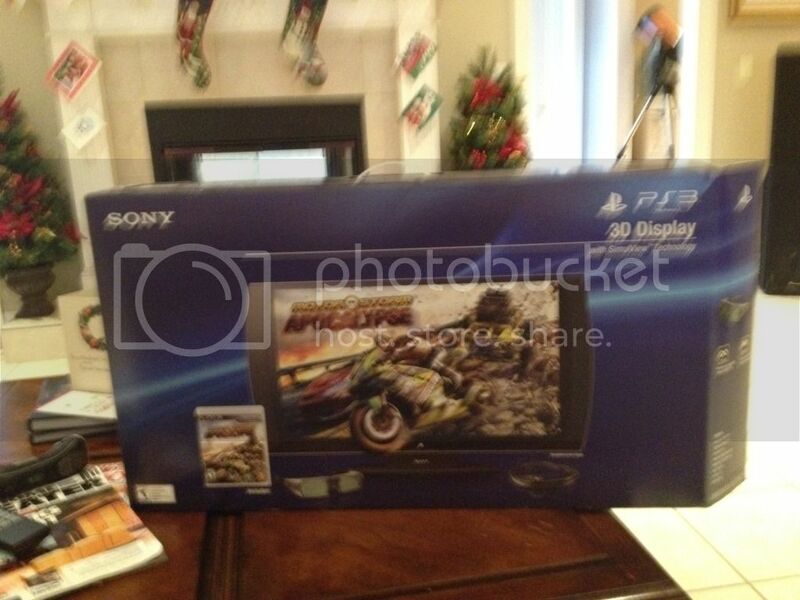 "Can I use SimulView with other Sony 3D TVs? 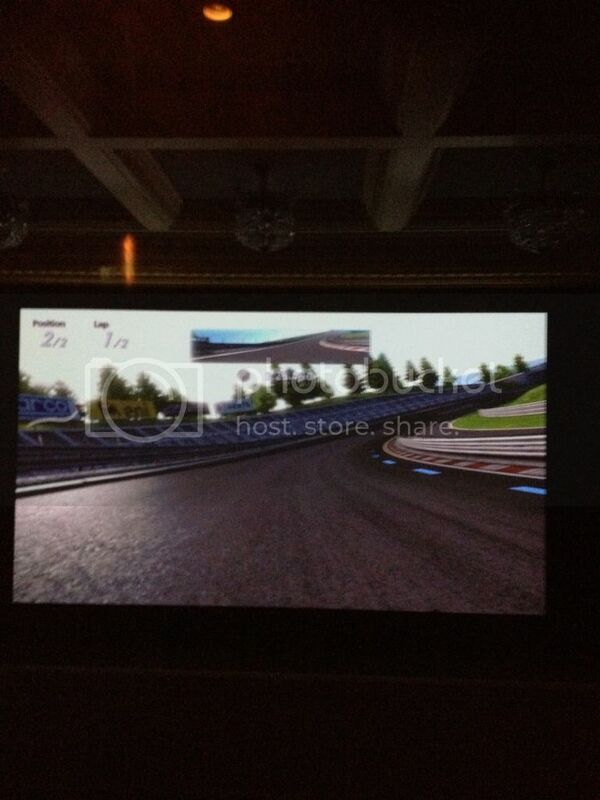 At this time, the 3D Display is the only display on the market that supports the SimulView two-player gaming feature." Looks like your answer is "no". I obviously can't argue with Sony on this -- especially with no one having their hands on this yet. I wish we had more technical information on how they are doing this. I just don't see how the TV could be anything special. The glasses have a button on them to force them to view only the left or right eye information. So it seems to me SimulView would depend on the source (in this case, a PS3) to send the information formatted with the left eye data being for one player and the right eye for the other player. Sure, if the TV let you take two sources (say, Blu-ray and a DVR) and "split" that, then that would be something the TV is doing. But I am pretty sure I read that it doesn't do that. There are two ways I am thinking they could make this proprietary. The first would be to make the PS3 only allow SimulView when it is connected to specific televisions. That seems a little underhanded to me, but who knows. The second is that the TV is sending an additional signal to the glasses letting them know that they can do SimulView. If that is all it is, then it seems to me that any manfacturer could make a pair of glasses that force viewing only the left or right eye information. It might not be 'automatic' but it would work. 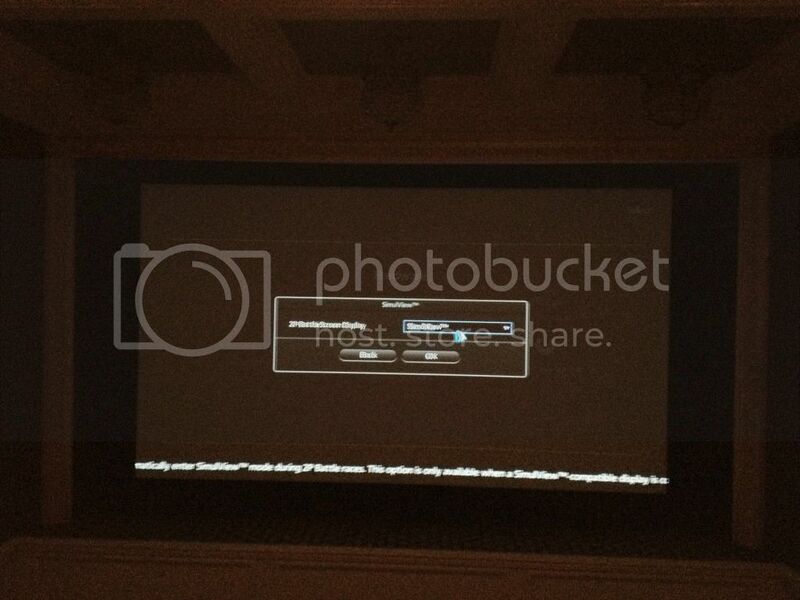 As just noted, they could indeed manage to make this not work without that specific display. The PS3 might be told to refuse to put out a 2-player fullscreen signal unless it gets a custom response back from the display over the HDMI port saying that it supports the feature. We won't know that until we can download a demo that supports the feature and try to use it without the set and see what happens. If I see mention of one I'll give it a yank. If there's no crippling at that level, I'm sure the IR protocol for those new sony glasses won't be hard to hack/transcode, for someone who owns the set + electronics equipment, but even if you made an emitter to drive them, buying them separate from the set might be difficult at first, and if they don't have front polarizers like some other Sony offerings, they won't work with another brand of set anyway. The problem then becomes actually finding some generic IR or RF glasses that support turning both lenses black at the same time, and also support setting the phase on ONE PAIR of the glasses so the same IR signal can drive two glasses 180 degrees apart. It's hard enough to get them with the pseudo-stereo button -- I haven't seen mention of any that have a one-eye (2D viewing) button. Which is odd because you'd think they'd want to let your guests that don't like 3D watch with you. Absolutely none are known to me that sport a phase knob (it's usually on the emitter and tunes all glasses at the same time.) Two explicitly paired BitCauldron-based setups might do it, but don't do the one-eye AFAIK and by then you are in for a couple hundred dollars at least. The X104s might do the trick, if they ever actually make it to a store... nobody knows what their full feature set will be yet. Finally to add to the pile of problems, 240HZ LCD based 3D displays use black frame insertion, and are really meant to be used with a rather high duty cycle (the lenses are black much more than 50% of the time.) They are not very well supported by generic glasses, since they are but a tiny sliver of the 3D market compared to plasma, DLP and LED. So to summarize, it's possible it might happen someday, but I wouldn't want to be stuck waiting for it. RealD's Crystaleyes will do this (I own the DLP version, but the IR version will also do this). Optoma's 101s will also do this for DLP signals. One can take any PS3 game with split screen (or XBox or any other split screen signal at HD res for that matter) and any 3D TV and one of the aforementioned glasses and do this full screen multi-player. However, because the signal is being output as normal side-by-side or top-bottom split screen with the TV in a corresponding 3D mode, the view each player gets full screen is half resolution and the geometry is distorted by the stretch to full screen. But, you hardly notice the geometry change and if the original signal is 1080p, then half resolution is still "HD" and it is scaled by the TV to 1080p like other HD signals, so it still looks good. Game makers could have a special split screen mode that corrects this geometry issue if they want, or even use top-bottom split screen in frame packing like blu-ray 3D (which is likely how the simulview games do it now) and simply output it as if it is normal 3D gaming and the minor issues would be gone. My guess is that you would see that from an XBox game long before a PS3 game for rather obvious reasons. Thanks. I have a friend who just swallowed the pill to get the checkerboard hacked up converter box for one of the abandoned Samsung checkerboard DLP sets. We PS3 game on occasion so knowing there are "one eye" glasses out there (other than the Sony proprietary ones) may come in very handy indeed. Game makers could have a special split screen mode that corrects this geometry issue if they want, or even use top-bottom split screen in frame packing like blu-ray 3D (which is likely how the simulview games do it now) and simply output it as if it is normal 3D gaming and the minor issues would be gone. I thought SimulView was specifically for this very purpose -- you're saying the managed to hose it up somehow? Real D DLP Link glasses (Crystal Eye 5) has the setting that allows for both eyes to see only one image and you can chose which one so this would work on DLP Rear pros. If you bought a Gefen HDMI Detective you could go to BestBuy and clone the EDID from the Sony display and then try and use it with a normal 3D TV. I think that RealD's CrystalEyes 4 will also do this, but they require a RealD emitter. No, didn't mean to confuse. Simulview is indeed for this purpose. I'm saying if you are not able to activate Simulview because you are not using the specific Sony playstation 3D monitor (and not using the EDID spoof previously mentioned) then you will have this issue. But game companies could create a special split screen mode to fix it without requiring Simulview to be active, but Sony might not allow them to do so. So even if Sony's glasses are looking for a specific signal (not confirmed either way) we know there are other glasses out there that will give us the left-only and right-only views. That eliminates one barrier to doing this without Sony's Simulview TV. I'm saying if you are not able to activate Simulview because you are not using the specific Sony playstation 3D monitor (and not using the EDID spoof previously mentioned) then you will have this issue. So this is the next issue to figure out - to see if Simulview is only offered when plugged into the new Sony TV. Unfortunately I do not (yet) have a 3D TV to test this with. I do know someone with one and I have access to Super Stardust HD. I will try to get over to his place and see what options I get with the game. If anyone else has access to a PS3, a 3D TV, and any of the current Simulview games (Motorstorm: Apocalypse, Gran Turismo 5, Killzone 3, and Super Startust HD) I would love to hear what options are/aren't available. If anyone else has access to a PS3, a 3D TV, and any of the current Simulview games (Motorstorm: Apocalypse, Gran Turismo 5, Killzone 3, and Super Startust HD) I would love to hear what options are/aren't available. Is SimulView available on any downloadable demos in the PSN store yet? If so I could easily verify this. Looking at the demos for those games only Super Startdust HD hosts two players. That demo did not present any menu options to turn on SimulView (I entered a co-op match in both 3D and 2D modes to check.) So either the demo does not have the SimulView code in it, or there's EDID crippling going on. That the use of "Automatic" HDMI detection in the main system display settings menu is mandatory for SimulView might be a bad sign... or good if you make money selling EDID spoofers. So either the demo does not have the SimulView code in it, or there's EDID crippling going on. I'm going to place my money on the latter. That's a shame, but not really surprising. 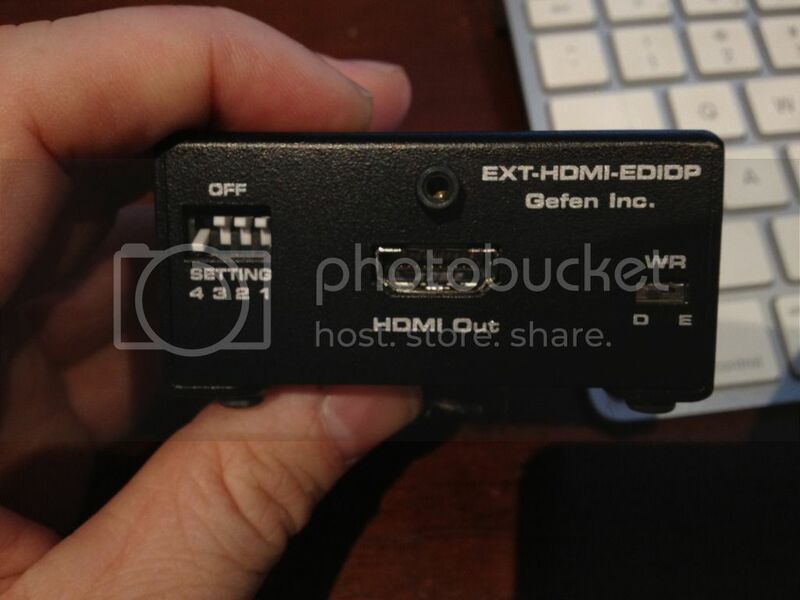 It looks like the Gefen HDMI Detective device has a couple of maybe's with it (Will it work with HDMI 1.4 stuff? Will this be enough to 'fool' the PS3?) With only four games currently being supported, someone more adventurous than I will have to check this out. Assuming Sony is able to get this feature to take off or they implement it on a game I play a lot, I may be willing to take the plunge. I am encouraged that being able to do this without a Sony TV is at least a 'maybe'. I thought i would mention that this is an easy problem to solve on a passive set and seems to work well. Developing a special feature that could work easiky with at least a few sets out there, and making it proprietary instead is just stupid. Not sure what kind of market penetration they are hoping for, but competing with your own customers and certainly not making it a compelling widely available feature that could represent a certain value proposition over say the Xbox shows that sony has learned little ove the years......especially when the ps3 griws long in the teeth. Passive split does work well with any sbs or stacked split screen, though stacked is better. This really isn't any proprietary technology. With 3D viewing under normal circumstances you get a Right image and a left image that are slightly different from each other. The simulview technology is not 3D. It is 2 separate 2D images. For example the left eye and right eye are showing completely different images, not slightly different ones like in 3D. The glasses instead of syncing left eye to left eye and then right eye to right eye for normal 3D, they open both eyes for just the left displayed image, or both eyes for the right displayed image. There is no other technology going on. I have been doing this no problem with my Titan 3D projector and my RealD CE4 glasses. The CE4 glasses allow you to switch between true 3d mode and either 2D mode left view or 2D mode right view. I am also now able to do this on my JVC RS55 projector using the RealD glasses. The other advantage is, this will work with really any split screen game, not just ones that are patched for simulview. There is a video posted on youtube where a kid took apart some passive glasses for an LG passive tv. He put both left lens in one pair and both right lens in another. Then turns on the appropriate 3D mode, either sbs or t/b, then he can play full screen for 2 players. That "works" yes, for games that do straight side-by-side or top-bottom couch co-op, but the problem is the image is stretched out of proportion. With the SimulView mode the rendered screens fill out to correct proportions, which is the point. On consoles like the PS3 there's no way to set the X/Y scaling factors. I couldn't agree more. If Sony pushed this as a PS3 feature (instead of a specific tv feature), it could cause more people to buy PS3s, cause more companies to work it into their games, maybe even encourage some more PS3 exclusives. If they keep going down their current path then this is going to sell even worse than the Move. You are correct. Im not much of a gamer and i realized what you meant. 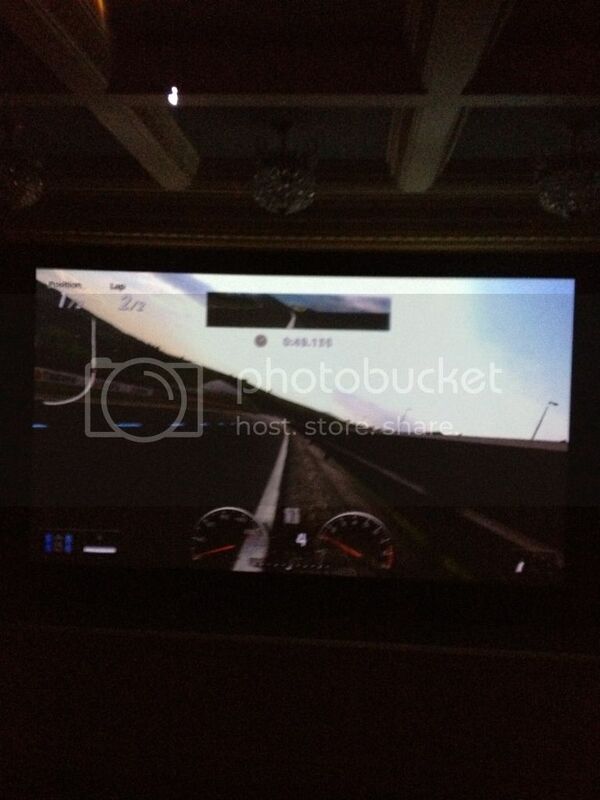 I could not engage the Simulview options in Gran Turismo because i was not hooked up to the PS3 display. But... there is good news. Its just an EDID code. I bought the PS3 simulview monitor, connected one of my HDMI Detectives, coded the code, connected it between my PS3 and Lumagen, and it instantly worked. The PS3 still thinks the PS3 display is connected, so I could turn on Simulview, and the rest worked perfectly. What an awesome feature. Now 2 people can play in full screen on my 12' wide 16:9 screen. So all you need is an HDMI detective, some way of getting the PS3 monitor EDID, and a TV or projector that has an external IR port, so you can use glasses like the RealD CE4 or any others that allow both 3D and 2D A/B mode. Sorry for the blurry pics, I took them quickly! Youtube video of Simulview working in my theater! I just realized the Sony PS3 3D glasses are universal. Since they work with with a bunch of different brand tvs, I think with the HDMI detective you could simulview on any 3DTV the glasses will sync with. 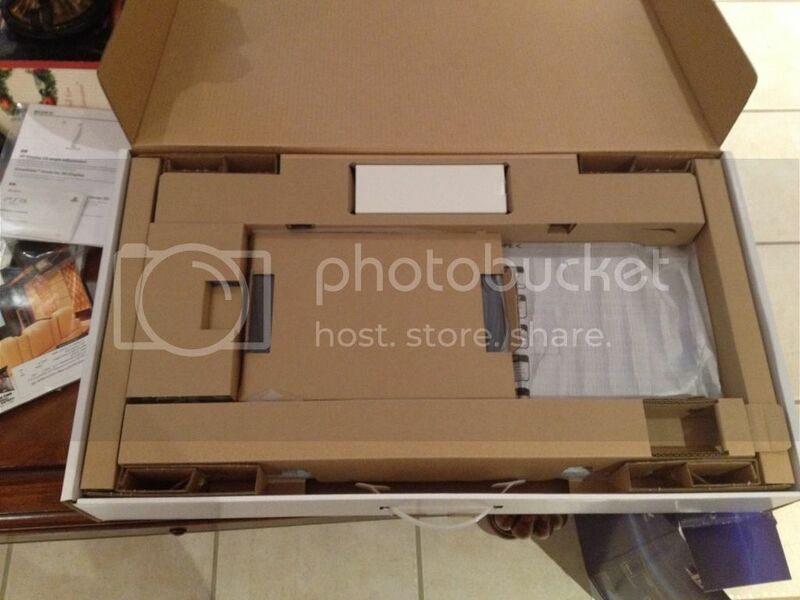 I'm going to test this tonight with my Samsung 3DTV. ccool96: Thanks a whole lot! That was awesome of you. Looking at the .inf, probably you would need to strip out just the "base" EDID. It would be interesting to see if the PS3 is looking for that particular EDID or whether it is just looking for some sort of extension tag in the EDID that can be added to any other EDID with an editor. They work like a charm on my Panasonic ST30. They are also $30 cheaper and more durable than the Panny 3D glasses. I was hopeful they would work as universal 3D glasses not only for 3D but also for 2D A/B mode, i.e. Simulview. While they do work fine for 3D on my Samsung 3DTV they would not sync to 2D A/B mode for simulview. I guess they will only work with the PS3 monitor in that mode. The RealD glasses work great for my projectors in both 3D and Simulview mode, but I'm wondering if there are any universal 3D glasses that will do both 3D and 2D A/B mode that i could use with my Samsung 3DTV. DIN port, like I do? Or is your Samsung > 2011 and so RF-based? Both cases make it impossible to attach a RealD emitter. In the former case it might be possible to transcode the IR signal to emulate the SimulView monitor's emitter, but that would be very involved and require quite a bit of effort. Easier might be generating a VesaStereo signal from the IR signal so your RealD emitter can use it. The other option is to crack open a pair and try to install a switch to reroute the signal pins from the microcontroller to the lens driver gates. As far as using one of the tunable sets, the only emitter that can take in an IR signal is the Monster brand of the BitCauldron setup, but looking at the manual, the way they are tuned does not look like it can be abused to do one-eye. We'll see how the X104s are tuned when XPAND releases the software utility to tune them -- maybe they will allow the L/R delay to be "tuned" so both lenses activate at once. This is awesome information. Thank you very much for looking into this and figuring it out. While they (Sony 3D Glasses) do work fine for 3D on my Samsung 3DTV they would not sync to 2D A/B mode for simulview. I guess they will only work with the PS3 monitor in that mode. A bit of a shame since the price point for the Sony glasses is much lower than the RealD CE4 glasses. Although I would technically only need two pair of the RealD, I don't really want to mix-and-match glasses and I will want at least 5 pair for regular 3D viewing. I would hope that the RealD glasses are better units overall, so when I get all 3d-ed up(very soon, hopefully) I will probably just bite the bullet and go RealD. thanks for this great find ccool96 ! would you be so kind as to guide me on what i need to buy and how to go about getting there ? I also responded in the other thread. The PS3 glasses will sync in 3D mode with many displays, but won't work in 2D and simulview mode except with the PS3 monitor. As long as your projector has a 3D sync port, you can use the REALD CE4 glasses and emitter. The nice thing about the CE4 glasses is they can be in 3D mode for some people, and if other people in the family don't want to watch 3D, they can be placed so they just sync both eyes with either the left view or right view. That is where simulview comes into play. That allows 2 people to game full screen with separate views at the same time in 2D. One person's glasses are sync with say image "1" and the other person's glasses are syncd with image "2" Perfect for 2 player games, as I'm sure more and more games will be made "simulview" ready. You have to get a device from Gefen called an "HDMI Detective" It captures the EDID info of a display, so once the EDID info is captured from the PS3 simulview monitor, the PS3 will always thing that monitor is connected. 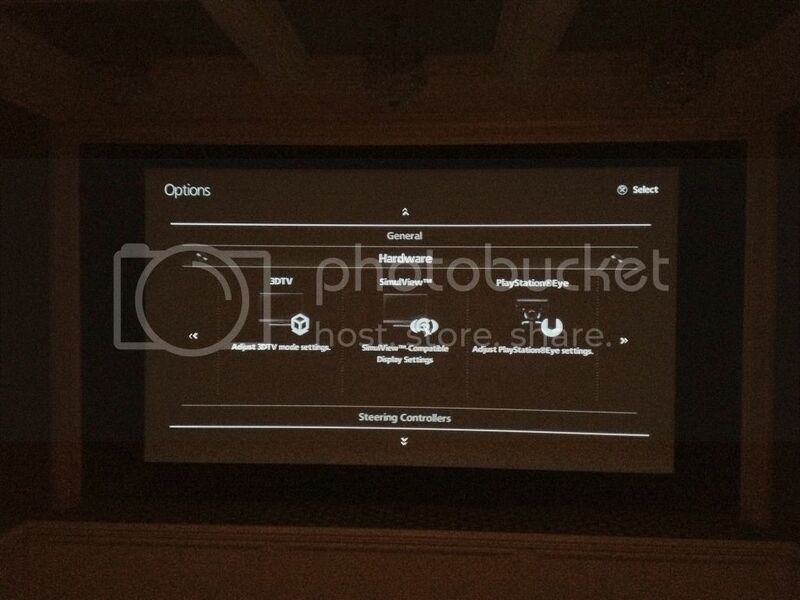 You just connect the PS3 to the HDMI DETECTIVE then to the Projector. The EDID info of the display has to be captured, that is the tricky part. I went and bought the monitor just so i could capture the EDID info, then i returned it. If you decide to get the RealD CE 4 glasses and emitter and buy the HDMI detective, you could ship the Detective to me and i could capture the info for you, from my HDMI detective, just PM me. Thanks for quick reply ! So if i got the HDMI detective between PS3 and Epson 3010 can i use PS3 glasses to enable Simulview ? If you have the HDMI detective installed you can go thru the menu on the games and enable simulview. that works no problem. But i could not get the PS3 glasses to work in that mode with any other display than the PS3 display. Even though the PS3 glasses are made to work in 3D mode universally, I guess they are programmed to only work with the PS3 monitor in a 2D A/B mode. Im not sure about the epson port, i would have to look into that, I would assume there has to be a conversion for that port to a vesa style connection.